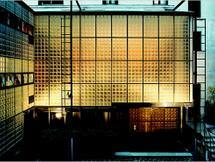 The Maison de Verre (House of Glass) is a collaboration of the interior and furniture designer Pierre Chareau, the Dutch architect Bernard Bijvoet and The French metal craftsman Louis Dalbet. It was built between 1928 and 1932 and is a stunning example of modern architecture in the beginning of.. 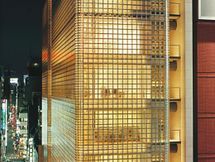 It was the architect Renzo Piano's goal to translate the elegance of the French fashion house Hèrmes into a transparent and thin building in the heart of Tokyo's fashionable shopping district Ginza. The building is elevated 14 floors above ground and three below for a total surface of 6,000..